Posted on April 12, 2018 at 2:50 pm. The Atlantic City Division of Gaming Enforcement has revealed that almost all of the seven casinos operating in the city witnessed skyrocking profits in 2017. There used to be eight casinos in the city, but the Trump Taj Mahal Casino Resort shut down operations in late 2016. Now the remaining seven casinos made nearly $133 million more in gross operating profit for 2017 than when the city had eight casinos in 2016. To put this in proper perspective, the casinos in Atlantic City saw a 22.5% rise in gross operating profits and a 5% jump in net gaming revenue last year. More specifically, the seven casino operators inclusive of online gaming saw a higher net revenue of $2.67 billion in 2017, as against the $2.5 billion net revenue generated for 2016. And then, over $25 million of the operating profits for 2017 is accruable to internet gaming. “Three casino hotels reported record net revenue and gross operating profit under current ownership, and both internet casino licensees had their best year as well,” said Christopher Glaum, deputy chief of financial investigations for the DGE. An increase in the rate of casino hotel occupancy rates also accounted for a significant rise in the overall profits made in 2017. The average price for renting a room at a casino hotel in 2017 was $108.35 while it was $106.71 in 2016. This was because there was an increased occupancy rate of 86.9% in 2017 from 85.2% in 2016. 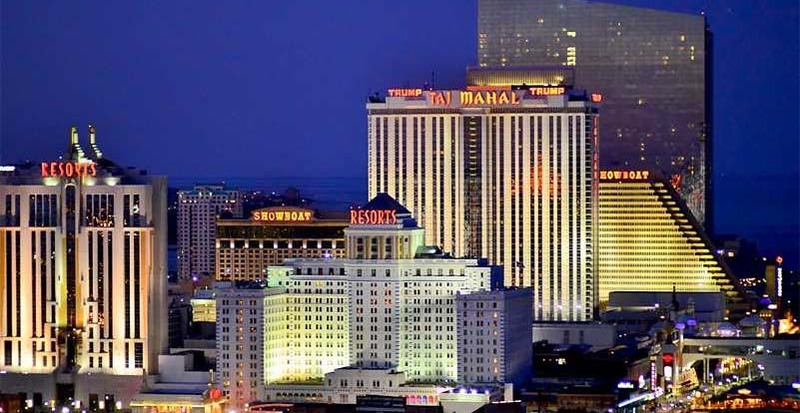 According to James Plousis, chairman of the Casino Control Commission, the higher operating profits recorded across the casinos in 2017 indicates the casino industry in Atlantic City is fast expanding. Hinting at the approaching opening of Hard Rock Hotel & Casino Atlantic City and Ocean Resort Casino, Plousis disclosed this summer will witness significant growth and increased visitors to the city. He believes the casino industry growth to be witnessed soon will create healthy competition among existing operators in Atlantic City. Some of the current casinos that experienced huge profits last year are Borgata Hotel Casino & Spa ($290 million profit in 2017), Tropicana Atlantic City ($92 million profit in 2017), Harrah’s Resort ($115 million profit in 2017), and Resorts Casino Hotel ($23.165 million profit in 2017).